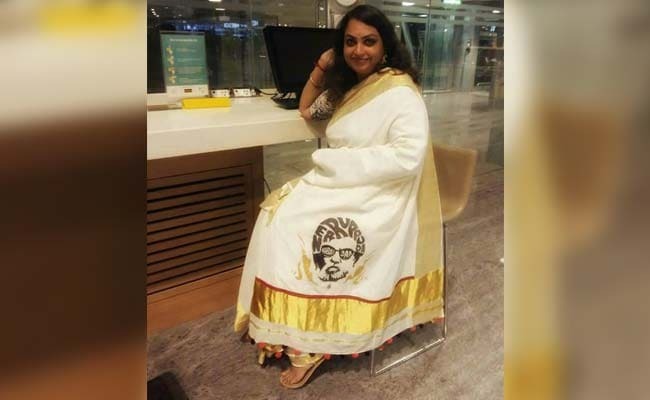 Hyderabad: Telugu writer Rajani Sakuntala confesses she is a die-hard fan of Baahubali, the film, just like lakhs across the country. Being in the creative field, she along with her friends, decided to make the film a part of their wardrobe. Orders were given to a printing mill at Eluru in Andhra Pradesh to capture an enduring, and aesthetically captivating image from the film on to a saree. The first batch of 50 sarees was meant for a closed group of friends, who planned to wear the saree to watch the film on the first day. The image of Devasena (played by Anushka Shetty) and Amarendra Bahubali (played by Prabhas) holding a bow with multiple arrows was copied onto the pallu of the saree along with the skyline of Mahishmati, the fictional kingdom shown in the film. The writer posted pictures on Facebook which were apparently shared on WhatsApp and subsequently went viral. Friends and strangers called up to ask if they could place an order, said Rajani. "We are now planning to make another 500 sarees inspired by Baahubali. This time we want to put the images of Rana Daggubatti and Ramya Krishnan as well,'' she said. 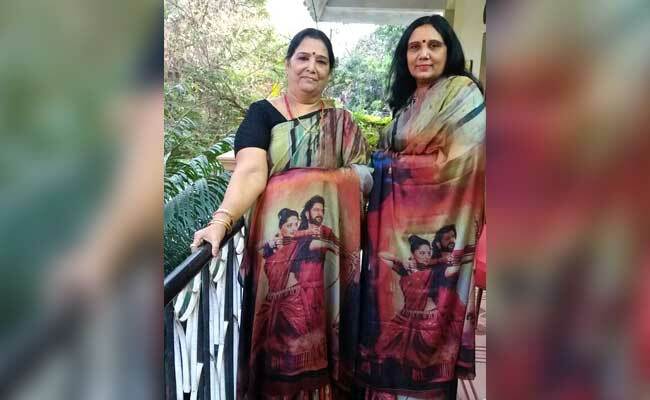 A photo showing a group of women wearing the Baahubali saree was also shared by actor Raveena Tandon on Twitter. Baahubali 2: The Conclusion has created a record of sorts by associating with over 100 products, the sales of which could run into Rs 25 crore. This was estimated to be the biggest franchisee and licence agreements entered into by any Indian film. The film is being converted into an animation series, a game and also has a prequel of three books. The saree is not part of this package. When asked if she would run into trouble with copyright, Rajani Sakuntala disagreed. She said they were doing this as fans, to celebrate the film and not to make money out of it. 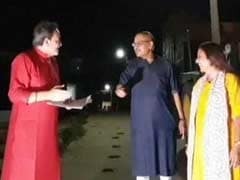 "We in fact want to go and meet director Rajamouli and all of us will be dressed in our Baahubali sarees when we do that. I am sure he will be happy too,'' she said, like an excited teenager. Superstar Rajinikanth's mega blockbuster Kabali had also taken a saree avatar last year. Some fans printed Thalaiva's face on to a saree, one of them even wore it while flying to Chennai to watch the film.